Hittite Microwave Corp., the world class supplier of complete MMIC based solutions for communication & military markets, is pleased to announce the release of the Hittite’s 2013 Product Selection Guide summarizing over 1100 products including 22 new products. New for this publication are GaN Power Amplifiers, an I/Q Downconverter and Sub-Harmonic MMIC Mixers. The Selection Guide is organized by RF & Microwave, Analog & Mixed Signal, Clocks & Timing and LO Frequency Generation IC sections along with Modules and Instrumentation. Hittite Microwave Corp., a of complete MMIC based solutions for communication & military markets, has introduced the HMC1023LP5E, a new addition to its IF/Baseband Processing integrated circuit product line. The board of directors of Hittite Microwave Corp. announced Stephen G. Daly plans to step down as the company's chairman, president and chief executive officer at the end of the month. The board named Rick D. Hess as the company's next president and chief executive officer. The board also announced Franklin Weigold was named non-executive chairman of the board. Hittite Microwave Corp., the world class supplier of complete MMIC based solutions for communication & military markets, announces the release of the two new literature pieces. Hittite Microwave Corp., a supplier of complete MMIC based solutions for communication and military markets, has released a compact dual channel 32 Gbps Mach-Zehnder optical modulator driver to further expand its fiber optics portfolio to support the next generation of 40 Gbps and 100 Gbps metro and long-haul applications. Hittite Microwave Corp. introduced a new successive detection log video amplifier (SDLVA) that operates over the full 1 to 20 GHz frequency range and carries a class 1A ESD rating (250 V HBM). Hittite Microwave Corp., the world class supplier of complete MMIC based solutions for communication & military markets, is pleased to announce the release of the October 2012 Selection Guide which summarizes over 1050 products including 22 new products. 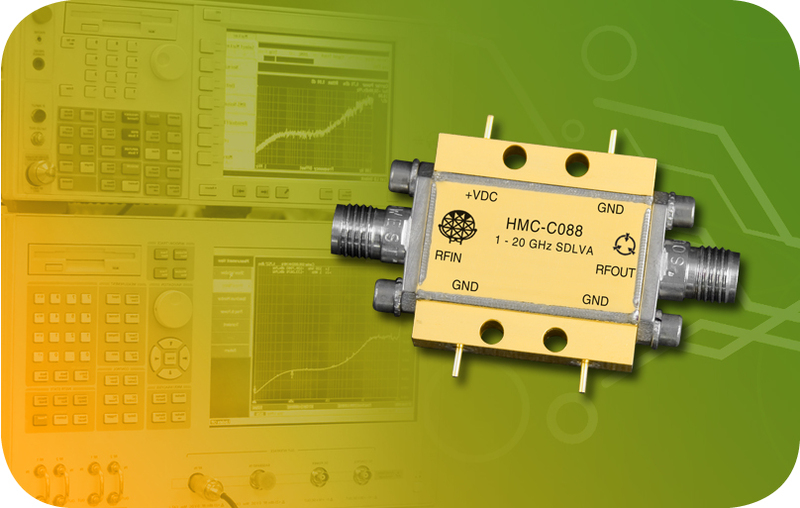 Hittite Microwave Corp. launched three new GaAs pHEMT MMIC power amplifiers which cover the 9 to 14 GHz frequency range and are ideal for microwave radio, military and space, SATCOM and test and measurement applications.